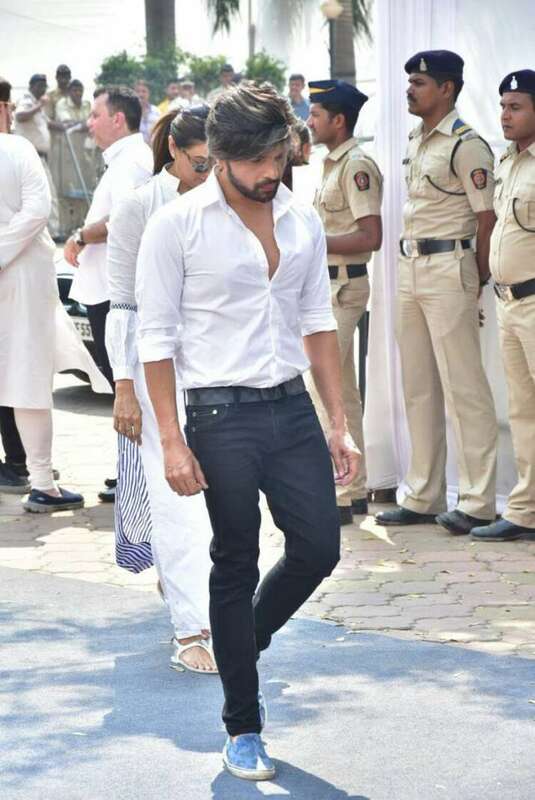 Among the prominent personalities who attended Sridevi's funeral were Aishwarya Rai Bachchan, Shah Rukh Khan and others. 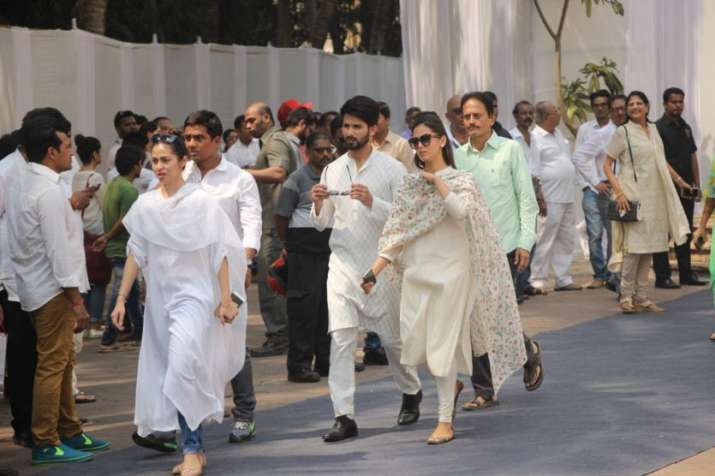 Bollywood celebrities from Aishwarya Rai Bachchan, Jaya Bachchan to Katrina Kaif, Shah Rukh Khan and others gathered to attend the funeral of Sridevi. 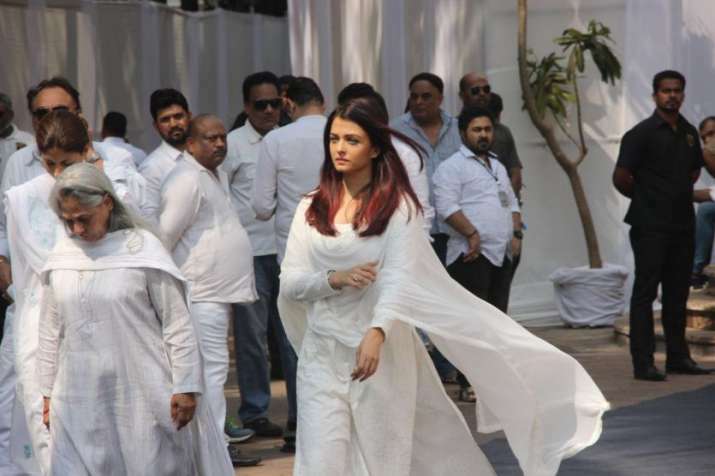 Since dawn, hundreds of teary-eyed fans and admirers of the late actress, some carrying flowers, gathered at Vile Parle Crematorium, where her last rites was performed. 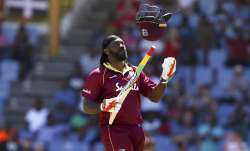 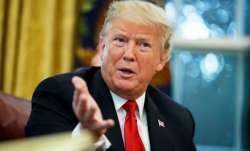 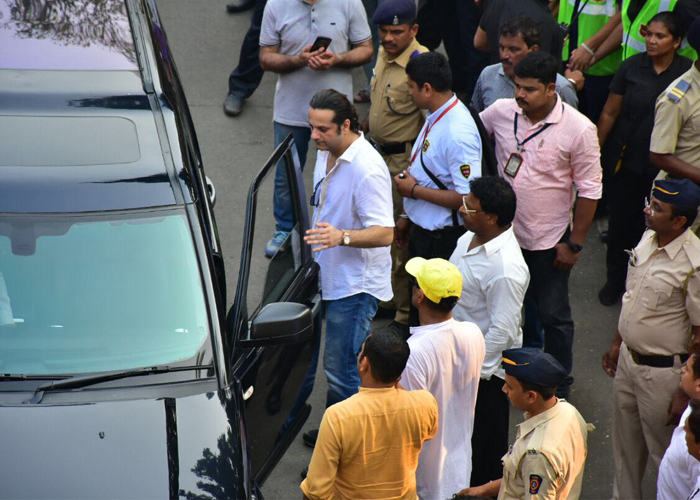 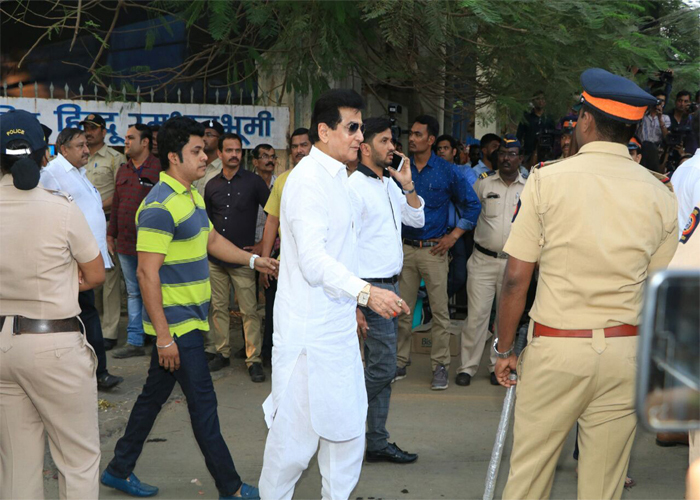 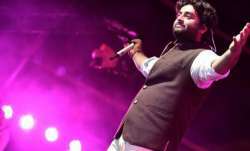 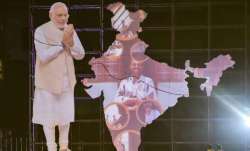 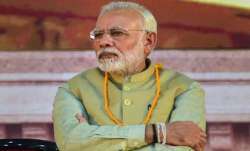 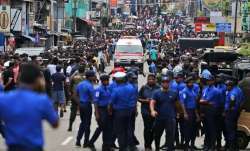 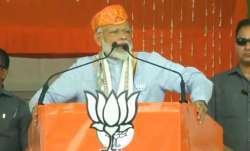 After the flower-bedecked body was brought to the club premises, a steady stream of celebrities started alighting from their vehicles and were whisked inside to pay their last respects. 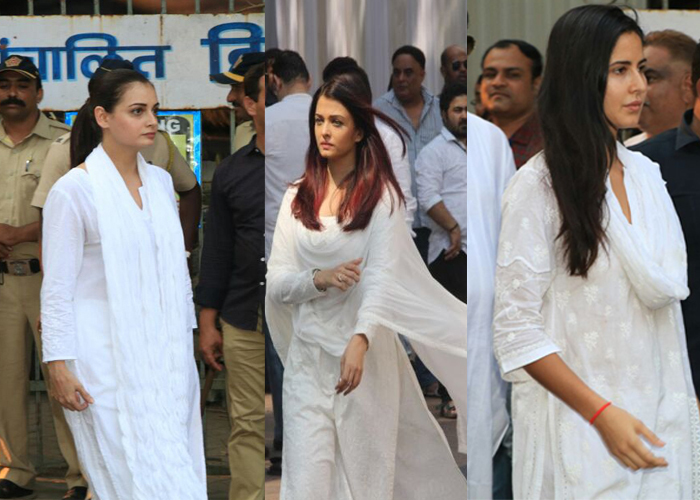 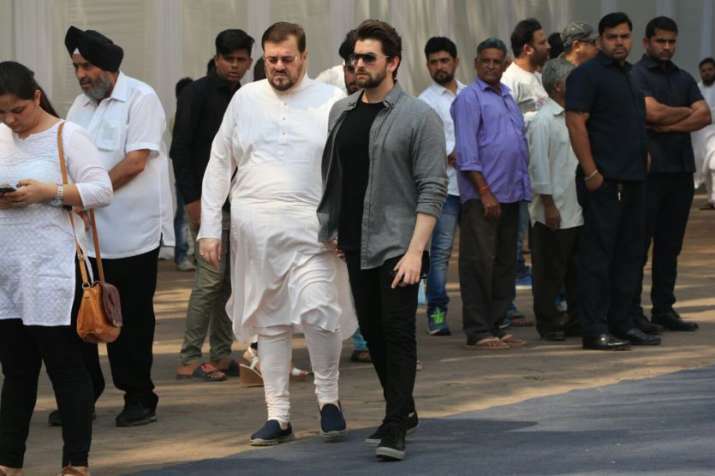 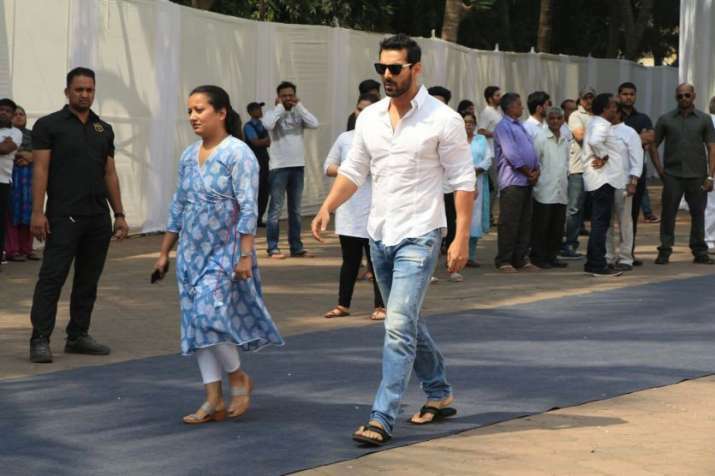 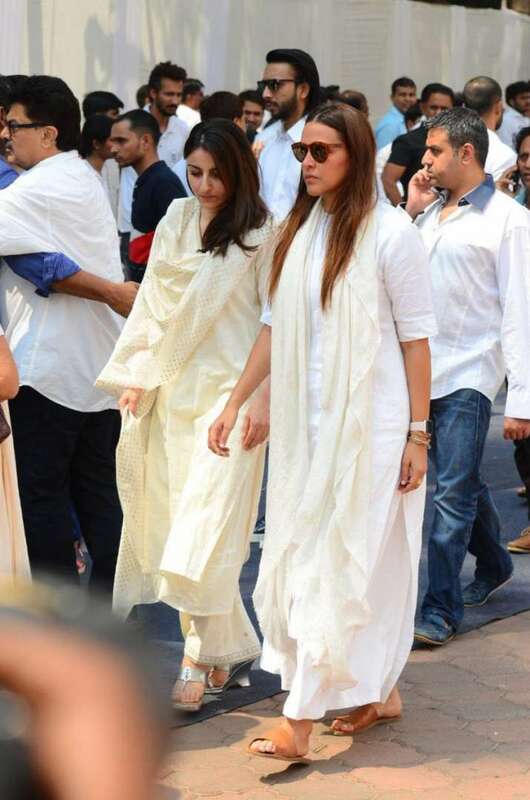 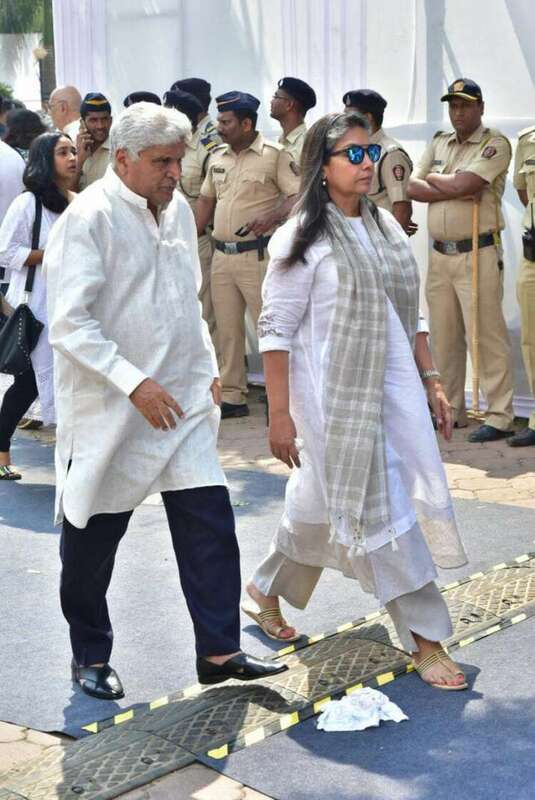 Among Bollywood celebs who visited the actress to pay their last respect were Rekha, Aishwarya Rai Bachchan, Arbaaz Khan, Madhuri Dixit-Nene, Akshaye Khanna, Tabu, Farah Khan, Nitin Mukesh, Neil Nitin Mukesh, Vidya Balan, Sushmita Sen, Shabana Azmi, Javed Akhtar, Madhur Bhandarkar, Deepika Padukone, Sanjay Leela Bhandsali, Farhan Akhtar, Hema Malini, Jaya Bachchan, John Abraham, Sulabha Arya, Ajay Devgn and Kajol, Salman Khan and others. 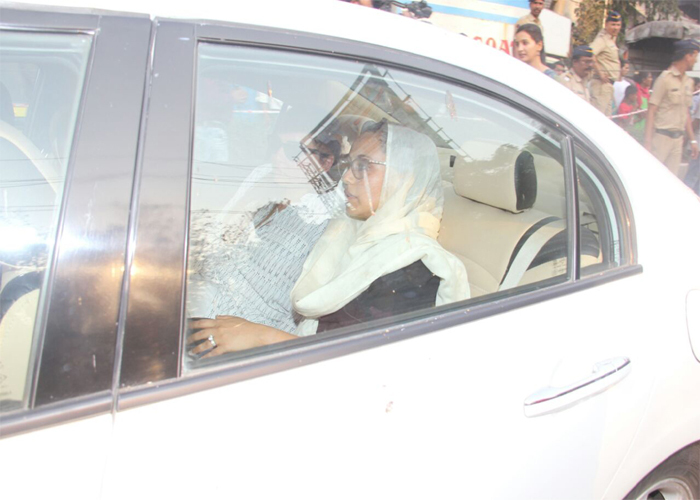 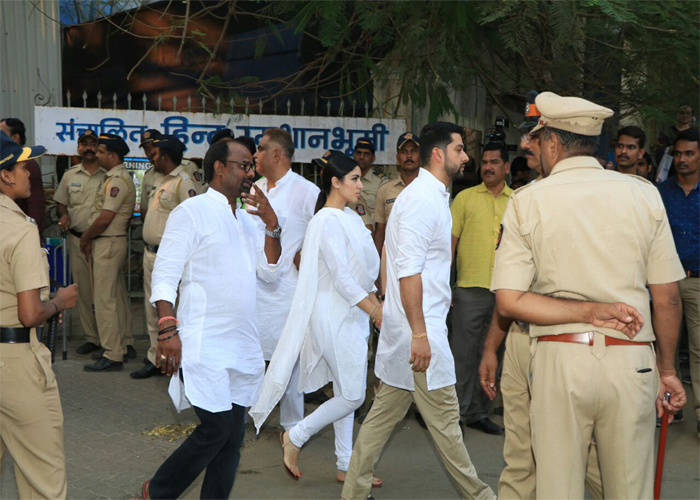 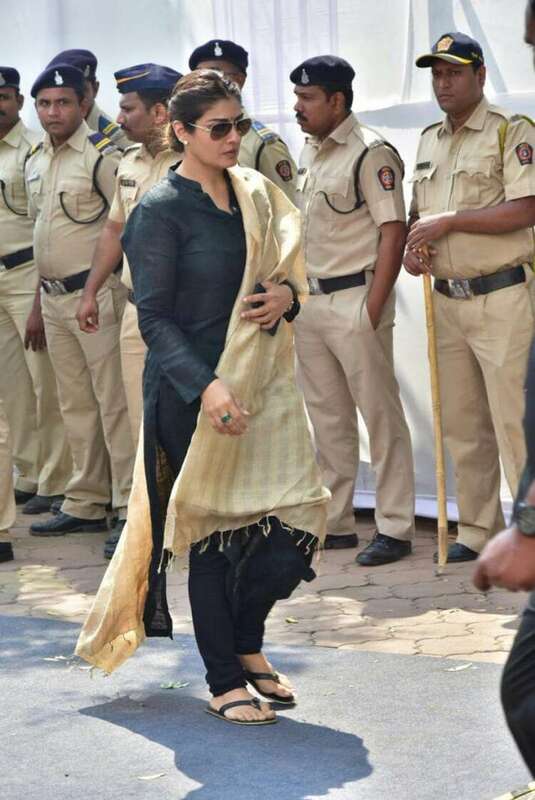 Among the prominent personalities who attended the funeral in Vile Parle were Amitabh Bachchan, Shah Rukh Khan, Randhir Kapoor and others who came to bid a final goodbye to Sridevi.